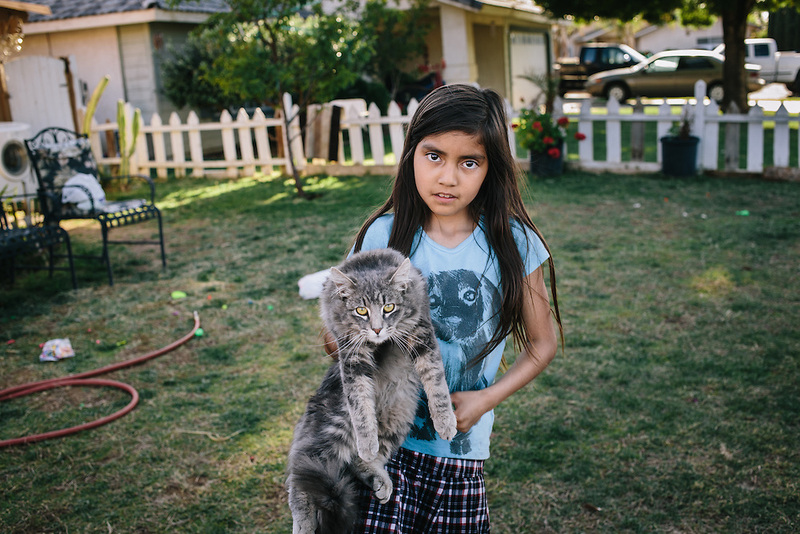 Samantha Olivarez, 9, holds her cat, Furbie, in front of her home in Arvin, Calif. The homes across the street from Olivarez were evacuated after a gas pipe leaked underground. According to reports, the 40-year-old pipe was leaking for as long as two years before it was detected. Olivarez's family is worried about possible health risks in the area due to the pollution.